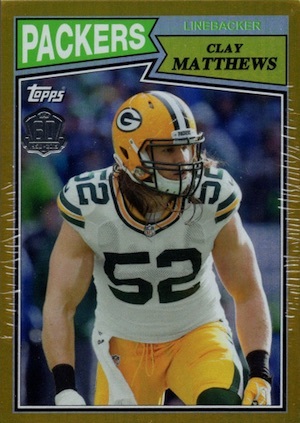 2015 Topps Football has more than meets the eye and that extends to a special promotion for Road to Victory cards. The limited inserts can be randomly found in packs and offer collectors a chance to win a gold parallel set or even a 40-card autograph set. 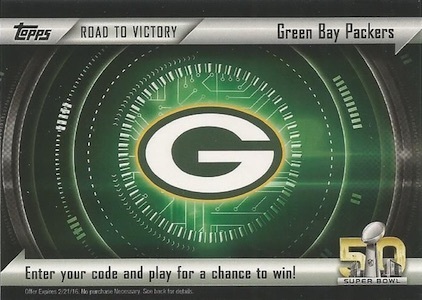 Each showcasing a specific NFL team, 2015 Topps Football Road to Victory cards present collectors with a chance to predict the eventual Super Bowl winner. With all teams represented, tracking down specific options might be a tad more difficult as the cards are a case hit. However, if the team showcased on your card wins Super Bowl 50 in Santa Clara, California, the card can be redeemed for a Gold parallel set of the 60th Anniversary insert set. Every set is numbered out of 150. Additionally, one grand prize winner will receive a full set of 40 autograph cards from the 2015 NFLPA Rookie Premiere class. Collectors also need to include an index card with their name, address, phone number and email address. Emails or letters will go out to winners following the Super Bowl which takes place in February of 2016. 2015 TOPPS Football JUMBO Hobby Box 3 HITS Gurley GORDON Johnson DIGGS Auto? 2015 Topps Football Hobby Box - Factory Sealed!